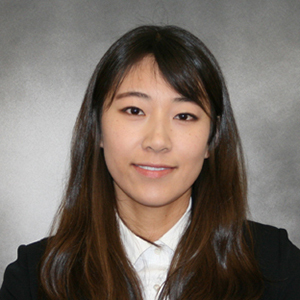 Sylvia Cho is a Ph.D. student at the Department of Biomedical Informatics at Columbia University. She is currently working with Dr. Karthik Natarajan on transforming the United Network for Organ Sharing (UNOS) transplant registry into a format that follows the Observational Medical Outcomes Partnership (OMOP) Common Data Model (CDM). This work will allow us to integrate multiple observational health data sources (e.g. electronic health record, administrative claims) that follow the same CDM with the transplant registry. We expect that having more data elements and data points will improve the accuracy of our analysis on transplant outcomes and furthermore better support clinical decisions. Prior to coming to Columbia University, she worked at the Center for Health Decision Science at Harvard T.H. Chan School of Public Health as a research assistant. She worked on analyzing the cost-effectiveness of interventions to treat or prevent cardiovascular diseases in the United States and South Africa. She holds a master’s degree in Health Economics from the Johns Hopkins Bloomberg School of Public Health with a concentration in Comparative Effectiveness and Outcomes Research. Pandya A, Sy S, Cho S, Alam S, Weinstein MC, Gaziano TA. Validation of a Cardiovascular Disease Policy Microsimulation Model Using Both Survival and Receiver Operating Characteristic Curves. Medical Decision Making. 2017 May 10;37(7):802–14. Gaziano T, Cho S, Sy S, Pandya A, Levitt NS, Steyn K. Increasing Prescription Length Could Cut Cardiovascular Disease Burden And Produce Savings In South Africa. Health Aff (Millwood). 2015 Sep;34(9):1578-85. doi: 10.1377/hlthaff.2015.0351. PubMed PMID: 26355061. Pandya A, Sy S, Cho S, Weinstein MC, Gaziano TA. Cost-effectiveness of 10-Year Risk Thresholds for Initiation of Statin Therapy for Primary Prevention of Cardiovascular Disease. JAMA. 2015 Jul 14;314(2):142-50. doi:10.1001/jama.2015.6822. Erratum in: JAMA. 2015 Oct 20;314(15):1647. PubMed PMID: 26172894.